A change in housing benefit rules, introduced in April 2013, has been dubbed the "bedroom tax" by Labour and, for many, the name has stuck. Strictly speaking, though, it is not a tax at all. The government says it is simply removing the "spare room subsidy" which put social sector tenants in a better position than those in the private rental sector. Ministers argue the changes will encourage people to downsize to smaller properties, and in doing so, help cut the £23bn annual bill for housing benefit, free up living space for overcrowded families, and encourage people to get jobs. But housing charities have warned that the result will be higher levels of rent arrears and greater homelessness. The government estimates that over half a million tenants are affected by the new rules, which took effect in April this year. More than half of those affected have a disability causing them "significant difficulty in one or more areas of the individual's life", the Department for Work and Pensions has said. The government predicts that savings to the taxpayer will amount to £505m in 2013-14, and £540m in the year after. The new rules affect housing benefit, which is paid to less well-off tenants to help with rent. Typically claimants receive between £50 and £100 a week. But since April 2013 families deemed to have too much living space by their local authorities receive a reduced payment. Under the government's so-called "size criteria", families are assessed for the number of bedrooms they actually need. This change affects council tenants, and those who rent from housing associations, who are housing benefit claimants. It does not affect private sector tenants who are already subject to certain rules. The government estimates that 660,000 households will have their benefit cut, roughly a third of social sector claimants. Only those of working age will see reduced payments. But there are some other exemptions too. Work and Pensions Secretary Iain Duncan Smith said the 5,000 approved foster carers in the UK would continue to receive rent payments towards an "additional room" as long as they have fostered a child or become an approved foster carer in the previous 12 months. And families with adult children serving in the armed forces will also be exempt from the changes, even when they are on overseas deployment. They will be treated as if they were continuing to live at home. How much have people lost? If tenants are deemed to have one spare room, the amount of rent eligible for housing benefit will be cut by 14%. If they have two or more spare rooms, the cut will be 25%. The government says that means an average loss of about £14 a week for council tenants. Those who rent from housing associations are facing an average loss of about £16 a week. Tenants can downsize, but problems have arisen in some areas where there is a shortage of smaller homes. Campaigners say those affected face being forced to move long distances to find a property, or move into the private sector, where rents could be higher. The new rules allow one bedroom for each adult or couple. Children under the age of 16 are expected to share, if they are the same gender, and those under 10 are expected to share whatever their gender. Following a legal challenge, the government said severely disabled children unable to share a room would be exempt - although campaigners say there is still uncertainty about this. Disabled tenants will be allowed a bedroom for full-time live-in or overnight carers. If a full-time carer is a husband, wife or partner, then they will be expected to share a room. However, they can apply for a discretionary housing payment from their local authority if the disability means the partner needs to sleep in another room. Discretionary support should remain in place for "priority groups" such as disabled people whose homes have had to be significantly adapted and those with long-term medical conditions which create difficulties in sharing a bedroom. The number of bedrooms in the property will be determined by the landlord's tenancy agreement, so you cannot claim a bedroom is actually a living room. A group of disabled families challenged the rules in the High Court. What was their argument? The families believe the new rules break the law by discriminating against disabled people in social housing because they fail to allow for extra space needed for individuals who cannot share a bedroom because of the nature of their disability. They also argued that they need extra space to store their mobility equipment, such as wheelchairs. The court ruled on 30 July 2013 that there was no discrimination, but the families plan to appeal against this. Can I keep a spare bedroom? Not without losing benefit. Parents who are separated are not allowed to keep a vacant bedroom for a child who visits. Bereaved families will be given a year's exemption to rearrange their housing affairs. Since April, parents are not penalised if a student is away, as long as he or she sleeps at home for at least two weeks a year. But when universal credit comes in from this autumn, students will need to be at home for at least six months to avoid a benefit cut. As of April, claimants with a paying lodger are allowed to keep the first £20 of weekly rent. But housing benefit will be then be cut, pound for pound, on the rest of the rent they receive. After universal credit is established, housing benefit will be cut, but tenants will be allowed to keep all the rental income (although only the first £4,250 of annual rent is free of income tax). If either one of a couple is of pensionable age, their housing benefit does not get cut. What is the situation for tenants of private landlords? Councils calculate housing benefit for private tenants using the Local Housing Allowance. This is based on typical rent prices in an area and the number of bedrooms deemed necessary for a household. 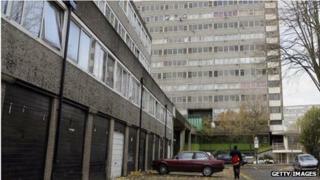 The latter is worked out along broadly similar lines to those now in place for social housing tenants. The maximum amount of housing benefit someone can receive as a private tenant is capped at £250 per week for a one bedroom property, £290 for two bedrooms, £340 for three bedrooms and £400 for four bedrooms.